On August 3, 2012, Shafilea Ahmed’s parents were convicted of her murder, 9 years after her brutal “honor” killing. The case offers important insights into how “honor”-based violence might be tackled without constructing non-Western cultures as inherently uncivilized. Critiquing the framing devices that structure British debates about “honor”-based violence demonstrates the prevalence of Orientalist tropes, and so reveals the need for new ways of thinking about culture that do not reify it or treat it as a singular entity that can be tackled only in its entirety. 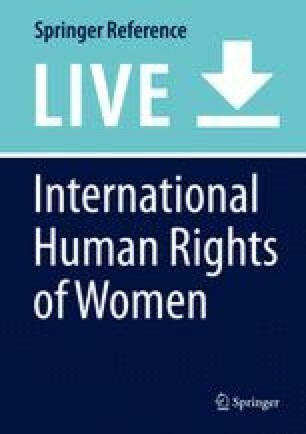 Instead, it is important to recognize that cultures consist of multiple, intersecting signifying practices that are continually “creolizing.” Thus, rather than talking purely about culture, debates on “honor”-based violence should explore the intersection of culture with gender and other axes of differentiation and inequality in the wider sphere of violence against women and girls (VAWG).